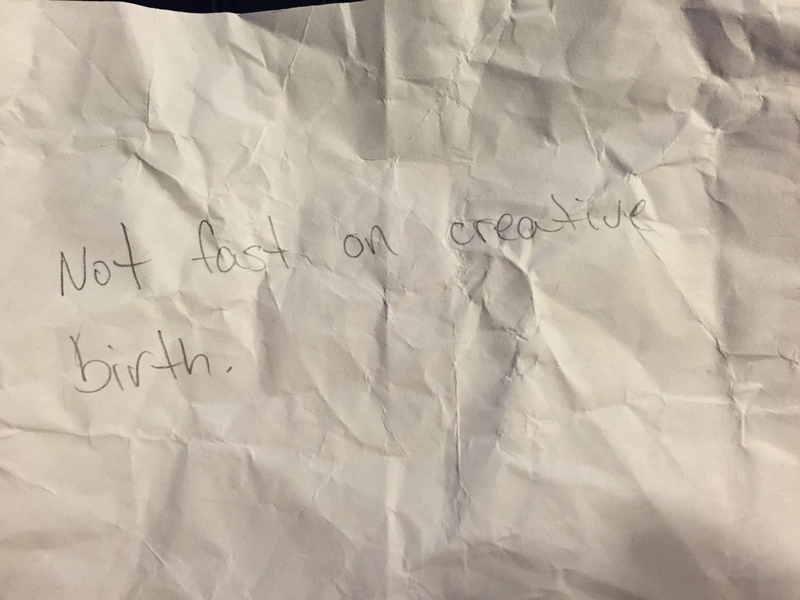 I attended a session with ‘Creativity Evangelist’ Denise Jacobs, during this session we had to write down a creative fear, crumple it up into a ball, and then throw it across the room. If a ‘fear’ landed near you, you could open it and read it. I’m too slow at coming up with creative ideas.